Our story is one of continuous evolution, and we are delighted to share the latest installment. Since 2010, the Tannery has been the home of Machteld Faas Xander. We have loved our time and our space here. What initially drew us to this building were the creative spaces that encourage collisions among other local businesses, creating new relationships and fresh ideas. We have always been proud of our space, especially since we were so intimately involved in the design, oversaw the build-out from raw space, and brought it to life (we even did some of the hammering and banging). But times change…and as businesses in our vibrant technology community grow and expand, they require more space. The largest tenant in the Tannery, Desire2Learn, is such an organization.. To manage their growth and additional employees, they need more square feet for workstations. They came and saw our space, and after that visit, made us an offer that we couldn’t refuse. We are glad that our space is going to such a great organization, and one that will appreciate what we have created here. 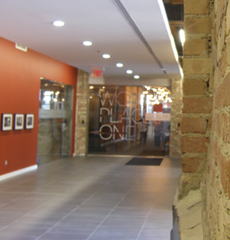 In our search for a new home, Workplace One at the Breithaupt Block was a standout for us. 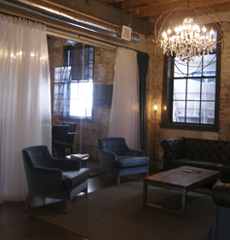 The space is designed to build a community among the occupants, which is what initially drew us to the Tannery. The building also came highly recommended, as several of our friends had already moved from the Tannery to this space and were very pleased. We’re excited to join a workspace with this type of new energy and eager to connect with the bright people already there. 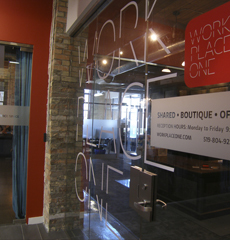 Our new adventure begins at Workplace One October 1st, 2013. We will keep you updated as we embark on Machteld Faas Xander’s next chapter. posted by Jessica on September 13th, 2013 | What is your favourite building or type of architecture? We asked the MFXers what their favourite buildings were. Have you visited any of these buildings? What is your favourite building? We would love to hear from you! Comments Off on What is your favourite building or type of architecture? Category: Communication Design, Community Design | Comments Off on What is your favourite building or type of architecture?